Another year and another missed Lord of Griffith. Who would have known LOG III would fall on our first Family Reunion in over 10 - 15 years, Doh! 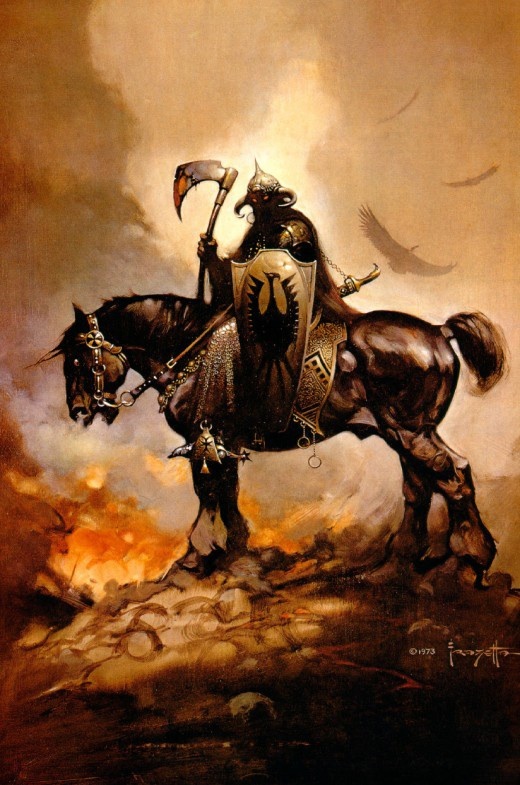 Death Dealer by Frank Frazetta was used as promo for LOG 1 - 3. This is one of Frank Frazetta' most iconic painting. Its been copied, reproduced and used in a variety of printing for music, t-shirts, rock bands and etc. I was first introduced to Frank Frazetta's art by my late Uncle Johan. He had a collection of prints and Tarzan books which featured cover art by Frank Frazetta. I remember being at the Book Exchange in Monclair, a reseller of used books, and I came upon old Tarzan Books with Frank's art. I bought them all with the idea I'd start my own collection and it was a good opportunity to connect with my Uncle Johan (Whom I had little contact with as a child yet shared a passion for books and science fantasy). Ironically, within days of my purchases he passed away. Missed opportunities happen daily and often, is this why they say carpe diem?